Since I can not pollute the studs, I have pasted this craft, but it also has strength and it is useful. Moreover, since it uses 5 to 10 volumes a day, it gets cheaper at bulk buying, it is considerably saved. This review is about item#55719895. Because it is used in a situation where it is peeled off immediately by a craft tape which is too weak in adhesion, we continue to use this product even a little expensive in order not to cause problems later. This review is about item#6904737. This review is about item#06904737. Unlike home center's 100 yen tape, sticky is strong and good. As a result of various other trials, I chose this product with high price and stickiness. Although the weight of a cardboard box is 20 kg, there is sufficient tackiness and it is handy. 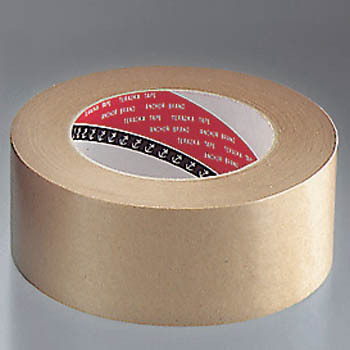 It is used as insulating tape at the time of construction. Recent adhesion strength of kraft tape is getting ruined, so we use it because we can somehow use the adhesive strength of this tape.